Packet Continuum, the open, massively scalable packet capture software from NextComputing, now features new and enhanced functionality, making it an even more powerful solution for lossless packet capture. 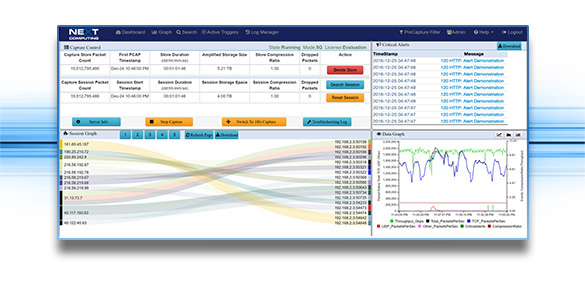 The updated Log Manager is a versatile tool for actionable search of log data, allowing you to quickly pivot to exactly the PCAPs or IPFIX flow records needed to identify the threat. The Log Manager time stamps and provides session IDs and metadata for network events such as HTTP, files, DNS, email, user agents, TLS/SSL, Active Triggers (BPF signature), system events, and 100 Snort rules (emerging-DNS, emerging-ftp, and files). Logs are instantly searchable by text string, time period and/or BPF. 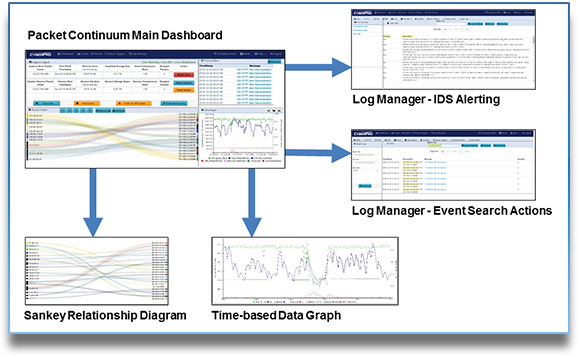 With a single click, pivot from a critical event to PCAP session data, IPFIX record flows, or any other recorded log files. Export any search results (PCAP/IPFIX/Log) in open-standard file formats such as PCAP-NG and CSV for analysis in any tool you want. 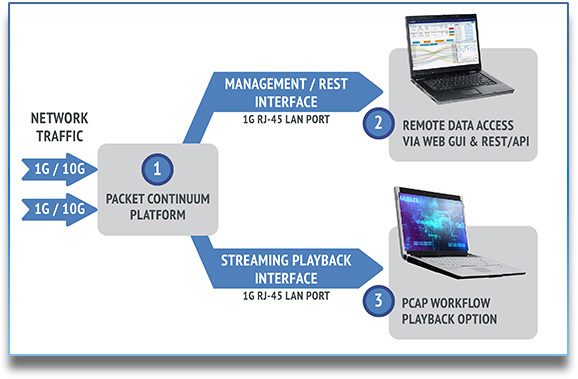 Open PCAP Infrastructure is key to the flexibility of the Packet Continuum software. It allows for deployment on many platforms, and the ability to integrate with any 3rd party forensics tool. All log files and alerts are viewable as CSV or text files in any compatible application such as MSFT Office. Open REST/API for creating customized workflows for automated Incident Response, Policy-Driven data retention, or interface to legacy analytic tools. Using Packet Continuum for lossless packet capture, you have the “ground truth” about what happened during a critical event – not merely an interpretation. Combined with the open data access, smooth scale, and long timelines, Packet Continuum can support even the largest enterprise scale users – and all at a very low cost.